First things first, it’s great to have a “Something of the Something” title that feels fresh and evocative. Unlike this piece, which I was sorely tempted to called “The Review of the Story”. 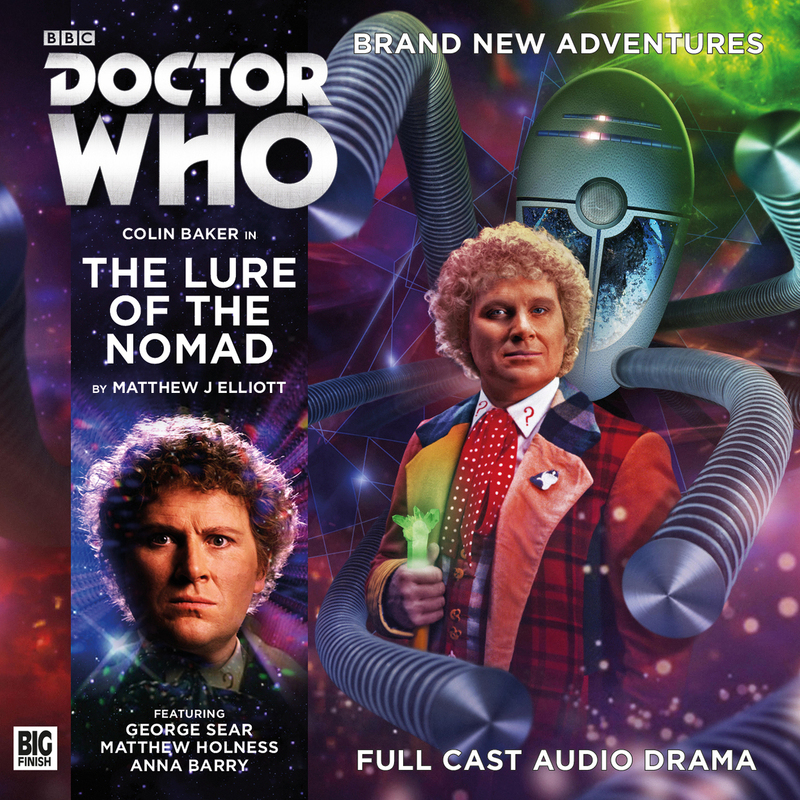 It’s not surprising, however, as “The Lure of the Nomad” comes from the same writer who gave us the how-hasn’t-that-happened-before “The Silurian Candidate”, which may be my favourite Doctor Who story title ever. Thankfully, however, titles aren’t all that Matthew J Elliot writes well. I look forward to Colin Baker stories in particular, as I may have mentioned in this past, because whenever one is knocked out of the park, it has an extra piquancy. Here we not only have the Sixth Doctor firing on all cylinders, but a new companion, in the shape (and sound) of Matthew Sharpe, played by George Sear. As is often the case with a shift in companion, it brings out different shades in the Doctor. And it’s always interesting to hear a “classic” Doctor with a truly new companion, as it allows our expectations to be wrong-footed. The story itself feels as though it may stray down familiar base-under-siege corridors, but it is to Mr. Elliot’s credit that it rises above its synopsis and shines with colour and life. It’s a murder mystery and a thriller, but, like the best Who, it’s also a character piece. The main and supporting cast are excellent, the writing is cracking and the Sixth Doctor is glorious.